October 14, 2016 — Links International Journal of Socialist Renewal reposted from John Riddell’s blog with permission — This article reexamines the perspectives on the state and revolution advocated by the early Karl Kautsky and revolutionary social democrats across the Tsarist Empire. Contrary to a common misconception, these “orthodox” Marxists rejected the possibility of a peaceful and gradualist utilization of the capitalist state for socialist transformation. 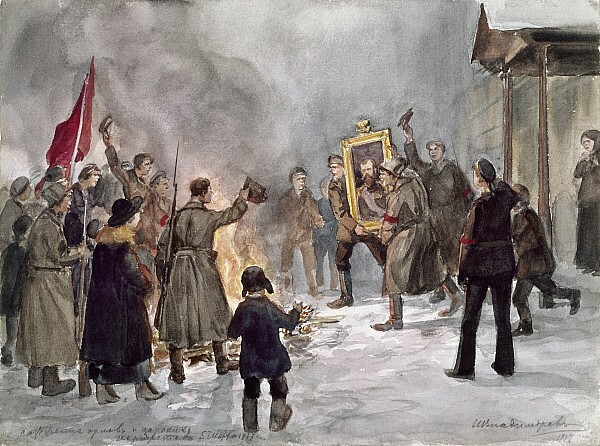 I show that Second International “orthodoxy” proved to be a sufficiently radical political foundation for the Bolsheviks and Finnish socialists to lead the Twentieth century’s first anti-capitalist seizures of power. Partido, clase y marxismo: ¿Era Kautsky “leninista”? June 3, 2016 -- Links International Journal of Socialist Renewal traducido para Sin Permiso por G. Buster -- En los últimos años, los socialistas han discutido encarnizadamente sobre la cuestión de los llamados “partidos amplios”. Muchos han defendido que hay que desechar el modelo "leninista" en favor de formaciones más amplias, como Syriza, Podemos, el Partido Laborista británico, los Verdes, etc. Otros han rechazado participar en este tipo de organizaciones, con el argumento "leninista" de que la construcción de partidos marxistas revolucionarios independientes sigue siendo la tarea de organización estratégica de los socialistas. Entrelazado con este debate ha habido una seria reevaluación del propio "leninismo". En particular, después de la publicación del monumental Lenin Rediscovered de Lars T. Lih, se han abierto algunas grandes interrogantes: ¿Rompió Lenin en la teoría y / o práctica con la estrategia "ortodoxa" articulada por el teórico marxista Karl Kautsky? ¿Fueron los bolcheviques, en otras palabras, un "partido de nuevo tipo"? Industrial Workers of the World poster against WWI. 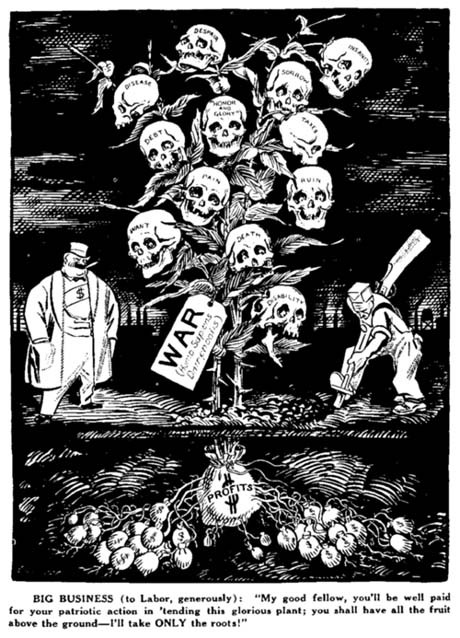 February 2, 2015 – Links International Journal of Socialist Renewal -- It has been a hundred years since the outbreak of the First World War. The centennial of the “war to end all wars” has seen countless commemorations of the millions of heroic soldiers who made the supreme sacrifice for king and country. Yet missing from all of the observances of the war are the deeper questions of its causes – to divide colonies among predatory ruling classes – and the heroism of those who opposed the mass slaughter. And for the left, that is how we should remember this 100th anniversary – but honoring those socialists and communists who fought against all the odds to end the slaughter. 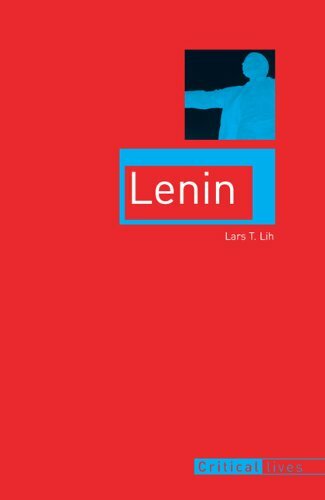 Cover of Lars Lih's latest book, Lenin (London: Reaktion Books, 2011). June 14, 2011 -- Europe Solidare Sans Frontieres -- I will never forget, as the 20th century trudged through its final decade, a once-close comrade telling me and others that developments of our time had consigned the Leninist conception of the party to “the dustbin of history”. Yet its dusty tracks may be something we will discover as we make our way into the near future. Polemical sparks spraying out from those engaged in the vibrant renewal of Lenin scholarship suggest that it still has life. Lenin stands out as one of the unquestionably great personalities of 20th century history. Yet such has been the impact of this man on the course of history in this century that his life and ideas have often become the subject of either the most vicious distortion or the most abject and craven cult-worship. Lenin is said to have requested that no great fuss be made in commemorating his death, and that no personality cult be allowed to develop around him. Lenin recognised that tendency that turns the most revolutionary figures, after their deaths, into harmless icons -- to be worshipped, while their ideas are ignored. He had seen Marx's legacy treated in this way by leading ``Marxists'' in the Second International, and had spent most of the latter part (and a good deal of the former part) of his political life fighting the disastrous consequences of this tendency for the socialist movement. Lenin's ``successors'' in the Kremlin repeated the errors of Second International's Eduard Bernstein and Karl Kautsky. Each May Day parade in Moscow, the Soviet hierarchs stood atop Lenin's mausoleum, like pygmies. The greater were Lenin's praises sung, the wider grew the gap between the practice and the prattle of the Soviet bureaucrats. On the other side of the Cold War divide, distortion and denigration called the tune.